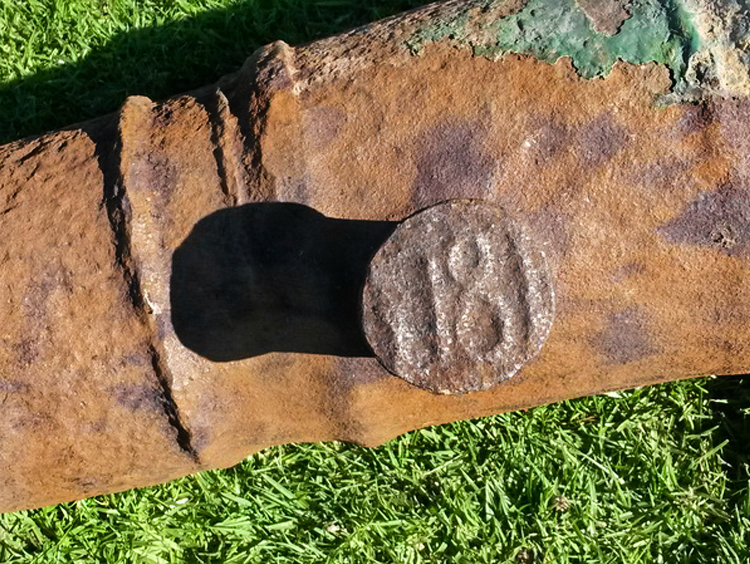 9 inch Rifled Muzzle Loading Gun, Middle North Battery, Simon's Town, Heritage Day (24 September) 2014. 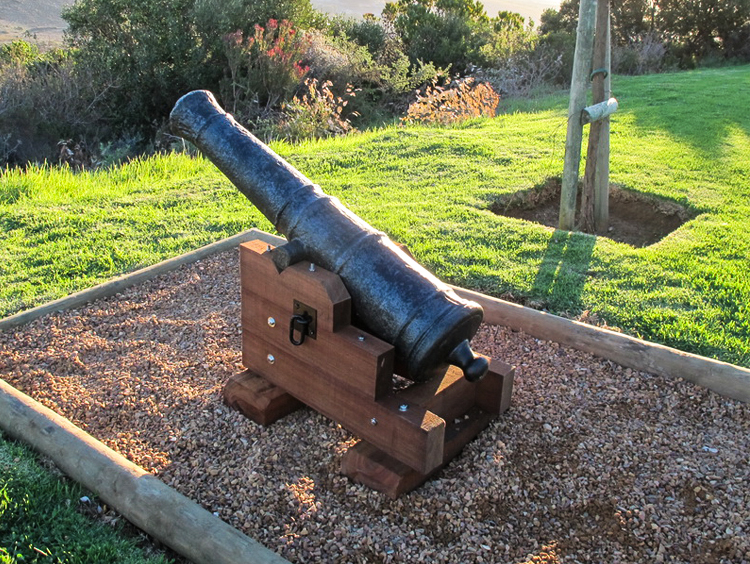 With the assistance of CAOSA, the South African Navy Museum fired off this cannon, which was designed in 1865. 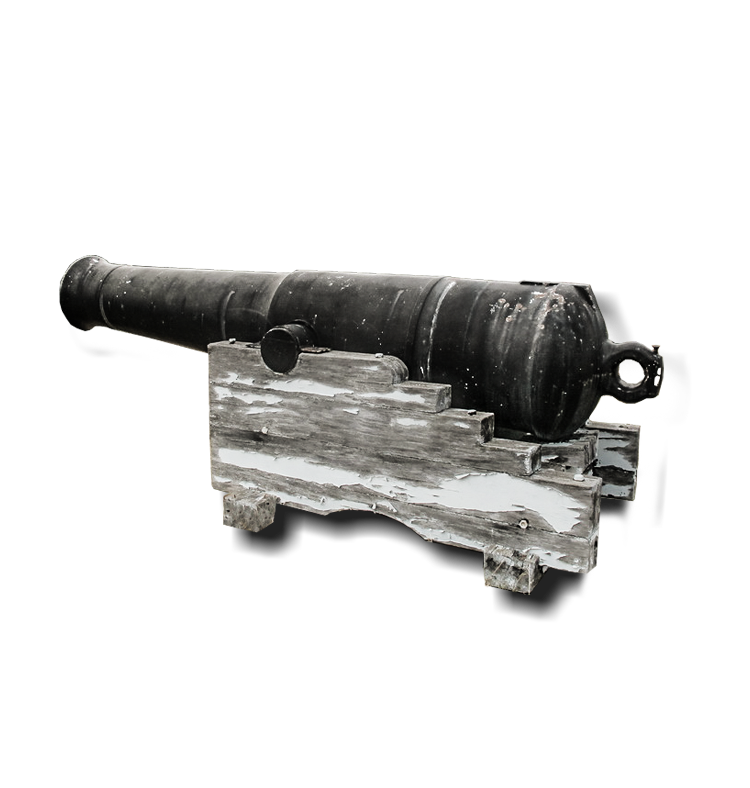 This cannon did some travelling in its time before arriving at its present position in 1896. 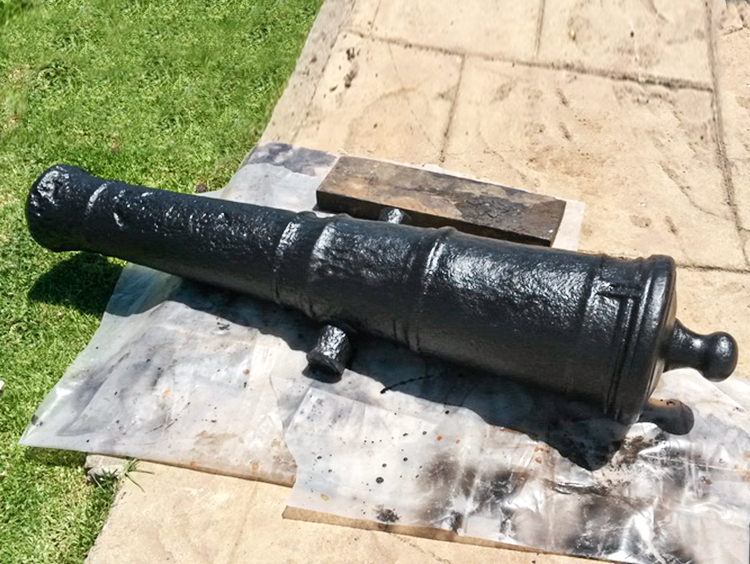 The cannon was last fired in service in 1903 and then restored in 2011. This particular day marked the 31st time the gun had been fired since being restored. 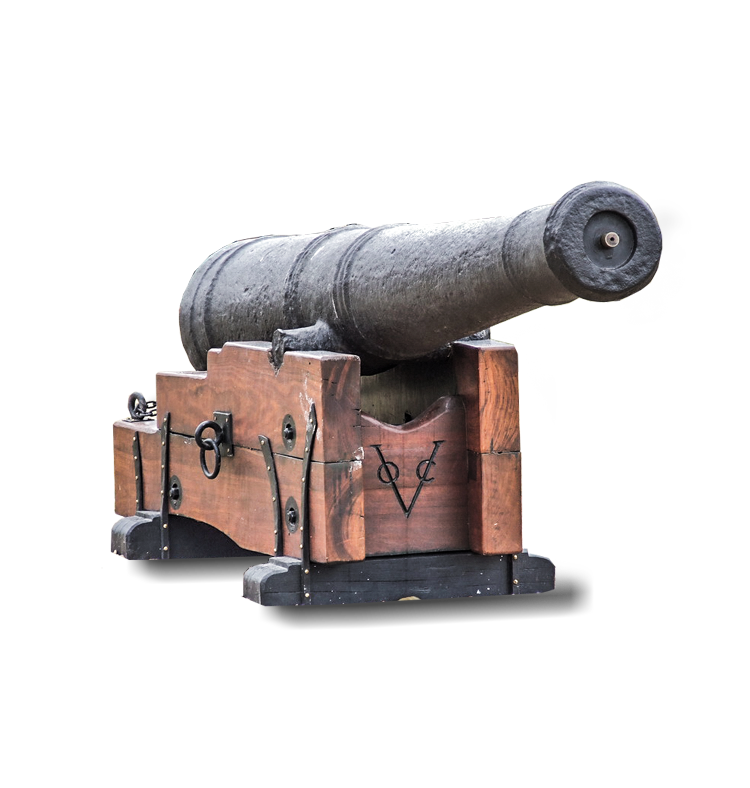 We are a small band of enthusiasts who are determined to stop the loss and decay of the muzzle loading cannon which form a part of our national heritage. 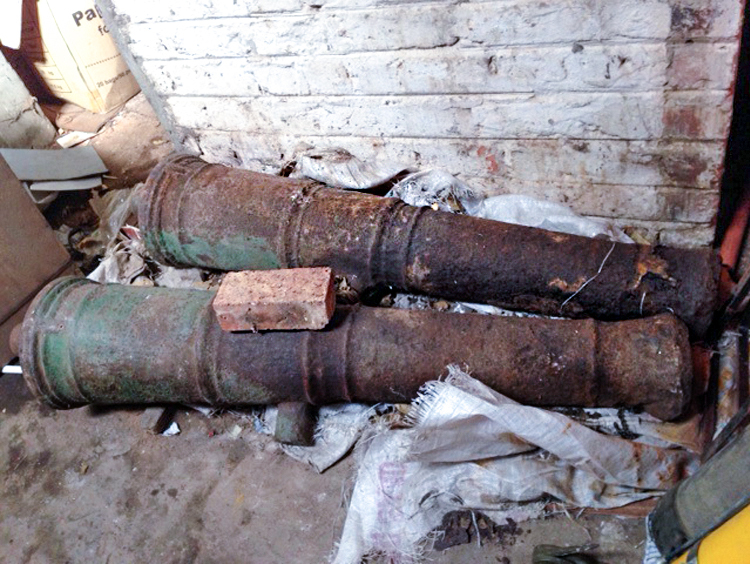 Cannon from sites of historical interest have often been identified and conserved by heritage organisations in South Africa; however, there are many others that are vulnerable and in urgent need of conserving and documenting, as part of the historical record. 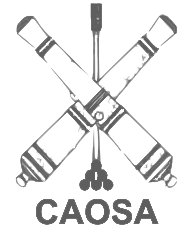 The Cannon Association of South Africa works with the South African Heritage Resource Agency (SAHRA) and the Chavonnes Battery Museum to improve knowledge of cannon and cannon sites, to protect them and to ensure that cannon of national and historical interest are treasured. The British 6.3-inch 18 cwt RML was a typical howitzer. 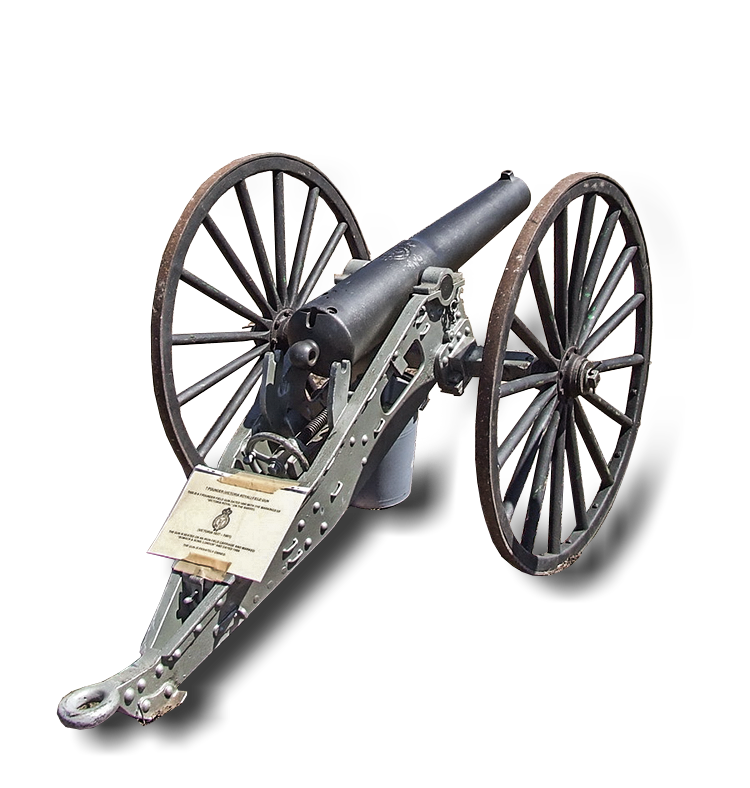 Compared to a gun, howitzers of those days had a shorter barrel and fired a heavier shell at shorter distances, at a lower muzzle velocity and with a higher trajectory. 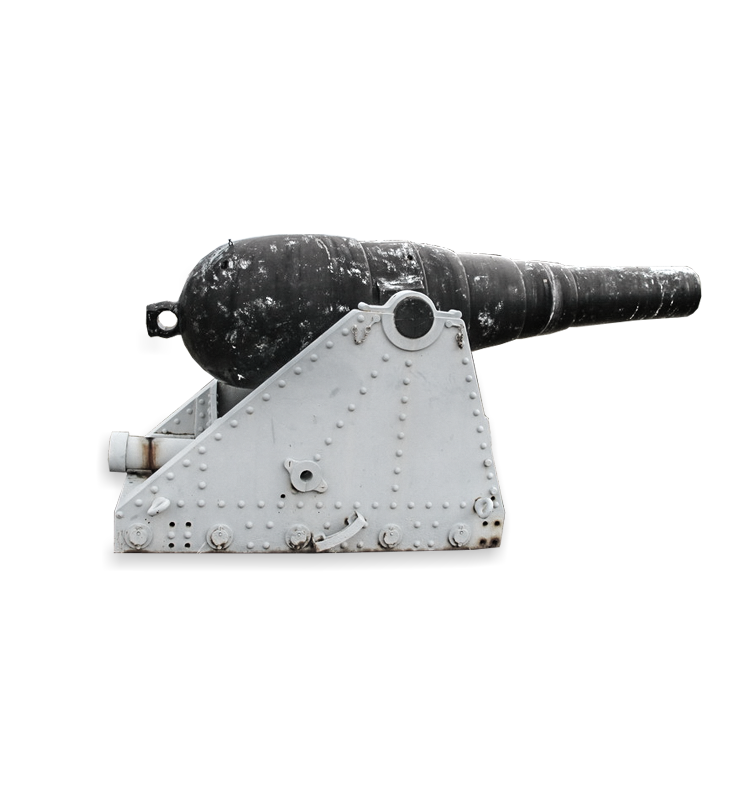 This enabled a howitzer to fire its projectiles into trenches and behind fortifications, something a normal gun with it flat trajectory could not achieve. By 13/02/1896 the gun was mounted at "Upper North Battery", first fired in 1896, 27 full rounds and 1 reduced round. Fired in 1898, 20 full rounds and 3 blanks. Fired in 1899, 26 full rounds and 7 blanks. Last fired 27/04/1903, 3 full rounds. 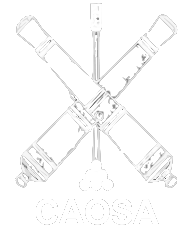 © 2019 Cannon Association of South Africa. All Rights Reserved.